Serving Chocolate Connoisseurs for Over 40 Years. Fish Creek, Wisconsin. 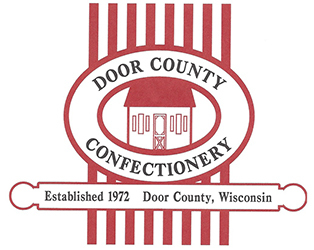 The first Door County Confectionery was established in the quaint village of Fish Creek, Wisconsin in 1972. Nestled between the rocky bluffs and cool waters of Green Bay, the first Confectionery store became a traditional attraction for vacationers. They've gone to extraordinary efforts to ensure that Door County Confectionery is your best choice in candy. Quality starts with the selection of ingredients. Door County Confectionery's standards for their handmade chocolates are never compromised; they only use the freshest quality ingredients.